This is a sponsored article and was made possible by EaseUS. The actual contents and opinions are the sole views of the author who maintains editorial independence, even when a post is sponsored. Moving data between PCs can be a hassle, especially if you have a lot of data to move. Dropbox and other cloud solutions are fine for a few files, but what if you want to move gigs of data? This becomes especially difficult if you want to move your apps and other large files to another machine. EaseUS Todo PCTrans Professional 10.0 is meant to do exactly this, but it crams a lot of other functionality into the package as well. EaseUS Todo PCTrans Professional 10.0 offers two different pricing options. The standard version of the app, which is what most users will want to opt for, goes for $49.95. That gets you a license to install it on two PCs. The other version is the Technician license. This is exactly the same as the standard Professional version in every way except one. The Technician license allows you to use the app with multiple clients. This is meant for someone working in a company’s IT department or a computer technician. At the time of this writing, you can actually get EaseUS Todo PCTrans Professional 10.0 for half off, making the price even better. 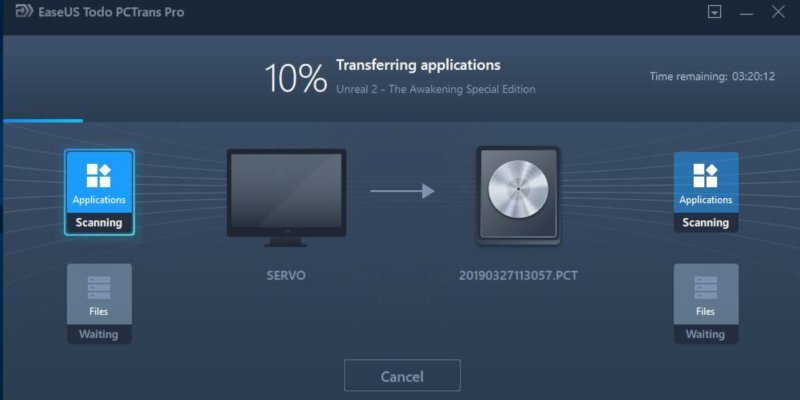 Since this is described as “PC transfer software,” you might think it does just one thing. It actually has a few different use cases, all built around the idea of PC file transfers. This is a large part of why people will buy this software. 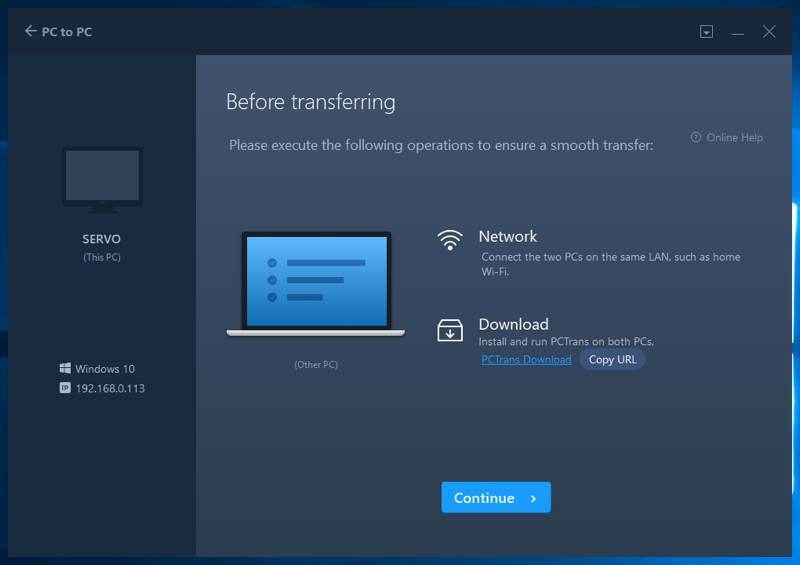 With this option you can easily transfer between two PCs over the network. If you’ve just bought a new computer and want to move data over from the other one, this will be your easiest option. All you need to do is install EaseUS Todo PCTrans Professional 10.0 on both PCs. When you launch the app on one PC, it should find the other on the network and let you transfer your files over. If you aren’t able to have two PCs turned on at the same time on the same network, image transfer is your next best bet. 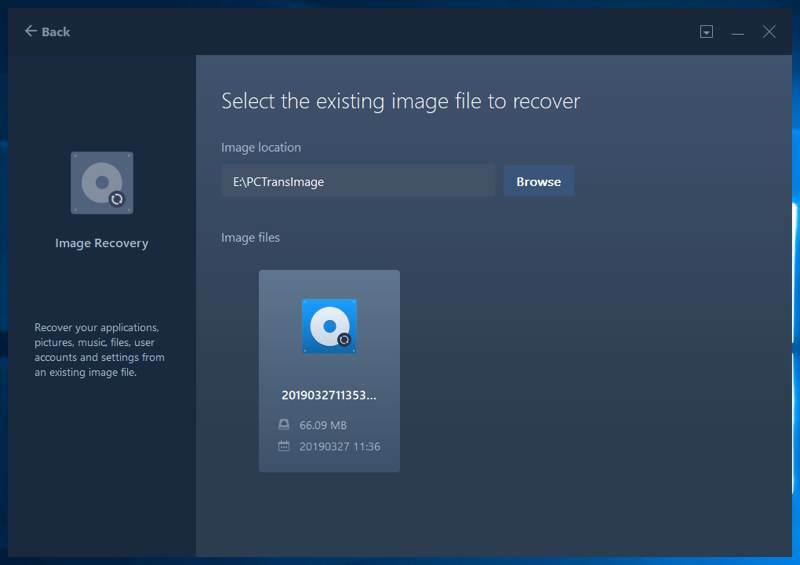 The basic steps are to create an image, save that to an external hard drive or other storage medium, then restore from that image on the second PC. Creating the image is as simple as firing up the software and choosing the “Image Transfer” option, then choosing which files you want to include in the image and where to save it. Depending on how many files you’re including in the image, this could take a few hours. Restoring from an image is equally simple. 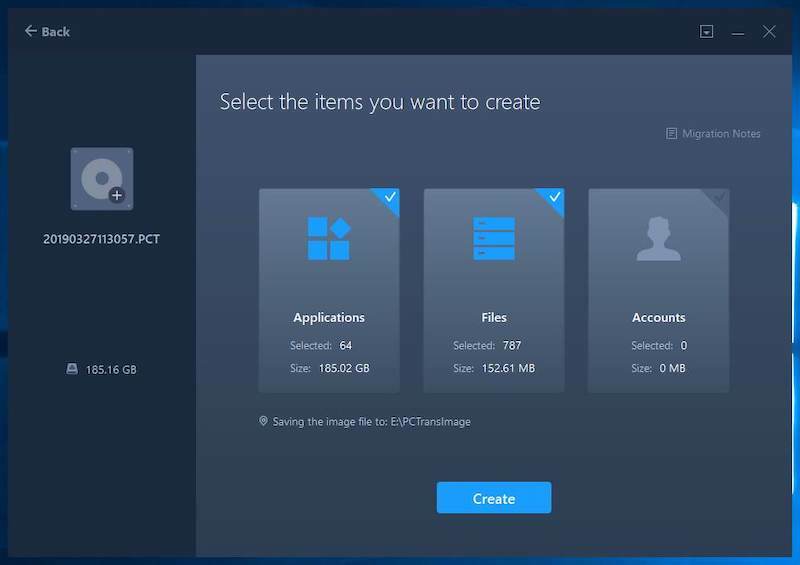 Launch EaseUS Todo PCTrans Professional 10.0 on the target PC and choose the image you want to restore from. How long this takes is dependent on the size of the image. If it took a few hours to create the image, you can expect restoring from it to take a similar amount of time. The final feature of the app is a little different. It is still firmly footed in file transfer, but it’s meant to work on a single PC. 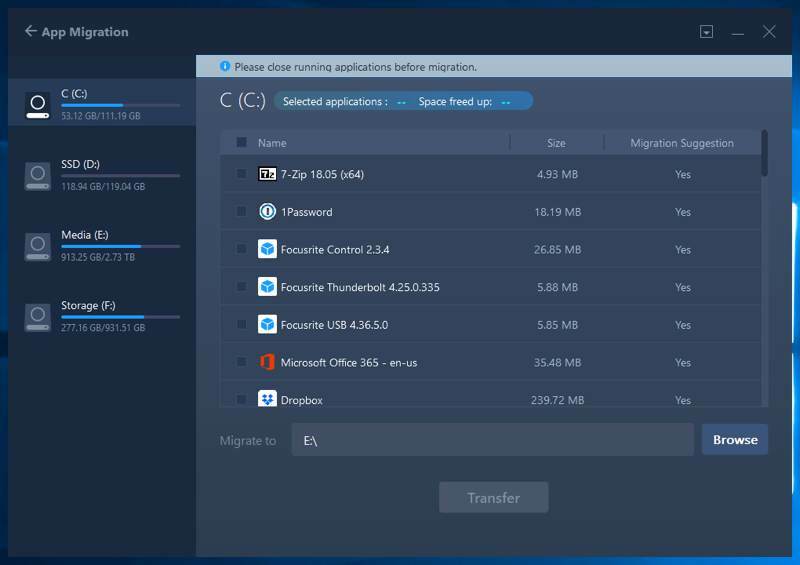 If you have multiple hard drives or SSDs, this lets you move apps between disks. If you’re talking a small program, you probably don’t have much use for this. For larger programs like the Adobe Creative Suite or Microsoft Office, you might want to move them to a different drive to save space on your system drive. This feature isn’t just handy for apps. If you’re a gamer and you have a few games taking up space on your SSD but want to install something else, this can be handy. You can move older games to a larger disk drive, freeing up space on your SSD but still keeping the other games installed on your computer. What’s New in Version 10.0? If you’re familiar with EaseUS Todo PCTrans, you might be wondering what’s new in version 10.0. As it turns out, quite a bit is new. The software now supports transferring domain user accounts and Microsoft Visual C++ redistributable packages. This may not mean much to you, but if it does, it’s important. The app now also supports transferring more Adobe products, better quality Microsoft Office transfers, and it can now transfer QuickBooks. There are other new features, but the most notable is the UI upgrade. Unlike previous versions, which would look at home in Windows 7, version 10.0 has a flat, angular design that looks right at home in Windows 10. Software like this will often do one thing well or several things poorly. In the case of EaseUS Todo PCTrans Professional 10.0, it does a few different things and seems to do them all well. This combined with the sleek-looking UI and overall ease of use makes it easy to recommend. It wasn’t that long ago that disk imaging was the only way to move large amounts of files between PCs. That software was often ugly and difficult to use, so this is a welcome change of pace. As mentioned earlier, right now you can get 50 percent off the purchase price, and this is to celebrate EaseUS and its 15-year anniversary. 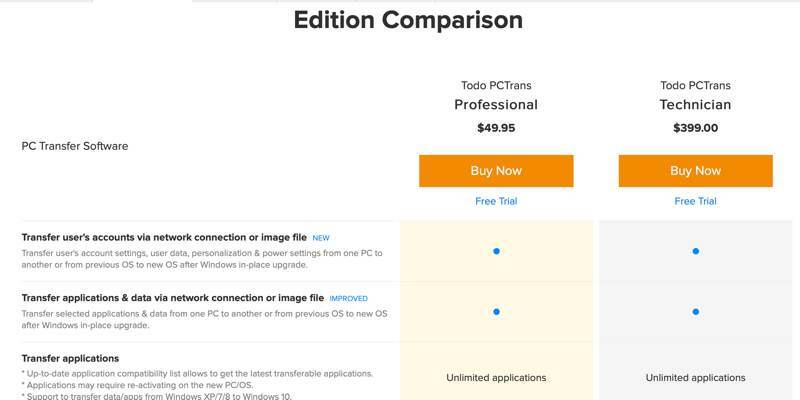 If you’re looking to buy EaseUS Todo PCTrans Professional 10.0, now is the perfect time to do so. No mention of whether it is purely a windows product or it might work with Linux. It would be helpful if you mentioned the essential requirements for all the kinds of software you speak about. As a Linux user I may be being sensitive, but 5% is a great many readers! It’s Windows only. 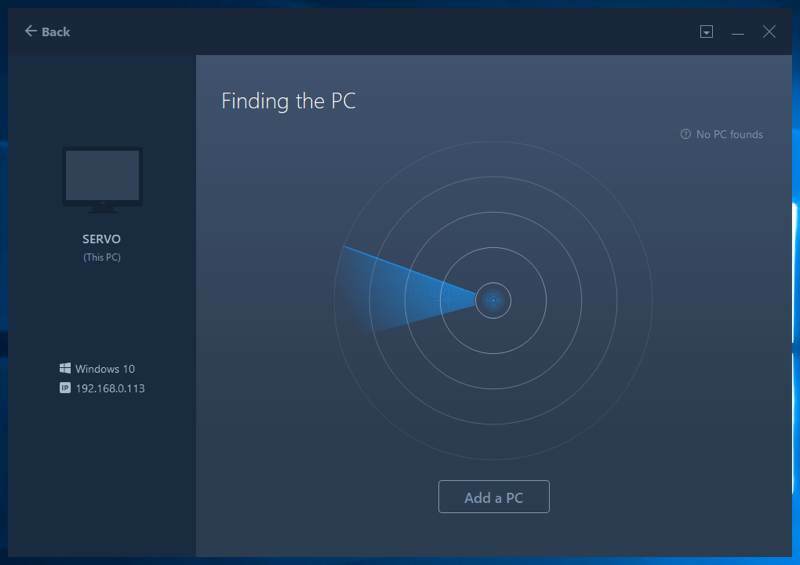 I can absolutely understand wanting a cross-platform solution, but this software is squarely aimed at Windows to Windows. 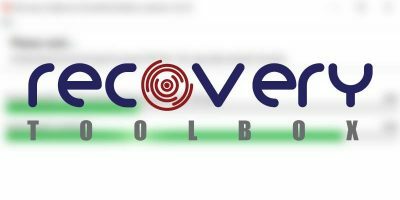 Since programs often update the Registry and rely on other files left behind during installation, is PCTRANS smart enough to do this so that a program that worked on the source PC will also work on the target PC? If you’re doing a disk image transfer, everything should copy as expected. I’m not sure about over a network, as I didn’t try anything that would rely on registry entries during testing that functionality.